Debates over the merits of the U.S.-Taliban prisoner swap agreement are missing the point. Earlier today, my colleague Ankit reported on the prisoner swap deal between the Taliban and the United States. Under the terms of the agreement, the U.S. has agreed to release five senior Taliban commanders being held at Guantanamo Bay in exchange for U.S. soldier Sgt. Bowe Bergdahl, the sole American prisoner of war in Afghanistan. As Ankit and I discuss briefly on the podcast today, the deal has faced immense scrutiny in the U.S. On the Sunday morning talk shows this week, many Republican lawmakers criticized the deal on the grounds that the White House had negotiated with a terrorist group. This, critics charge, will make it more likely that terrorist groups will take U.S. soldiers hostage in the future, in order to squeeze concessions from the United States. There are also concerns that the five Taliban prisoners who are being released will rejoin the war effort against NATO and its Afghan allies now that they’ve regained their freedom. Moreover, some members of Congress have questioned the legality of the deal since the administration released five prisoners from Guantanamo without notifying Congress in advance, as was stipulated in legislation passed in an effort to prevent the administration from closing the Cuba-based prison. The Obama administration has sought to defend the deal by pointing to the U.S. government’s responsibility for the safety of U.S. soldiers. Moreover, they’ve pointed to Bergdahl’s apparent declining health as a reason why they were willing to negotiate with the Taliban, as well as release Guantanamo prisoners without first notifying Congress. They have also acknowledged the charges that Bergdahl might have been a deserter at the time of his capture but have said that is an issue that will be dealt with in due time. All these issues are undoubtedly important. Nonetheless, they miss the strategic logic behind the deal. Namely, the main reason for the deal appears to be a desire on the part of the Taliban and the U.S. to reinvigorate their long-stalled diplomatic talks in the context of a post-Karzai Afghanistan and NATO’s troop withdrawal. In the past, reports about a potential prisoner swap agreement with Bergdahl and Taliban commanders at Guantanamo Bay were portrayed as a trust-building measure between the Taliban and the U.S. as part of their ongoing diplomatic negotiations. This longstanding diplomatic channel reportedly broke down when Karzai publicly objected to the Taliban opening a diplomatic office in Doha, Qatar. That a prisoner swap agreement would come now then is no surprise. Karzai is a lame duck president who is on his way out. Indeed, the run-off election to replace him will be held later this week. It is increasingly clear that the Obama administration is using this lame duck period to set a new, more unilateral tone to its Afghan policy. The Obama administration likely understands that Washington tied itself too tightly to Karzai in the past, and he usually proved to be an unreliable partner. It wants to avoid making a similar mistake with his successor. Thus, last week the Obama administration unilaterally announced how many U.S. troops will stay in Afghanistan after this year, as well as the pace of their withdrawal. It is now unilaterally reopening the diplomatic channel with the Taliban over the lame duck Karzai administration’s objections. This is crucial, as Karzai’s successor may very well come from a non-Pashtun ethnic group, which means he will almost certainly be more opposed to cooperating with the Taliban than Karzai has been. For all its other shortcomings—and these undoubtedly exist—the prisoner swap agreement is a decent trust building measure. On the one hand, the agreement demonstrates that the Taliban interlocutors the U.S. is dealing with have the support of Taliban leader Mullah Omar. Besides securing Bergdahl’s release, Mullah Omar came out and openly endorsed the deal. There was little reason for him to do this except to demonstrate to the U.S. side that the deal had his support. Moreover, by releasing five known senior Taliban commanders in Qatar, the U.S. will use them as future interlocutors to Omar. Finally, the Taliban’s willingness to release Bergdahl demonstrates a modicum of goodwill on its part. The deal also sends a couple of important signals to the Taliban side. To begin with, it demonstrates that the U.S. will no longer allow a hostile Afghan government to hold the negotiations hostage. This is important given the past history of Karzai torpedoing agreements long after the eleventh hour. Second, the release of the five Taliban commanders shows the U.S. side’s goodwill. Perhaps most importantly, the deal demonstrated to the Taliban that the Obama administration is willing to expend political capital at home for negotiating with the Taliban. Given persistent charges that the Obama administration subordinates foreign policy objectives—particularly in Afghanistan—to domestic politics, it was imperative that the White House demonstrate this to the Taliban before discussions over more substantive agreements could proceed. With the prisoner swap agreement out of the way, the U.S. and the Taliban are likely beginning to pursue these more substantive talks. The U.S. side is undoubtedly hoping to persuade the Taliban to end the insurgency and join the Afghan government in some capacity. Even if this goal proves elusive—and there’s good reason to believe it will—having an open diplomatic channel to the Taliban will remain imperative. In fact, the diplomatic channel with the Taliban will become all the more important should the Taliban take parts of southern Afghanistan in the future, either before or after all U.S. troops are out of Afghanistan at the end of 2016. That’s because for all the pessimism about Afghanistan’s future, the fact remains that the U.S. has won its war in Afghanistan. To be sure, the Afghan government is corrupt and almost completely incompetent, particularly outside Kabul, and it’s far from certain that the Afghan security forces can keep the Taliban insurgency in check. These facts notwithstanding, the rationale behind the war in Afghanistan was never to eliminate the Taliban, much less to establish a democratic government in Kabul. Indeed, immediately after the 9/11 terrorist attacks, then-President George W. Bush even offered to allow the Taliban to stay in power as long as it handed over all al-Qaeda leaders and operatives in the country. It was only when Mullah Omar refused to hand over Osama bin Laden that the U.S. decided it must overthrow the Taliban government. 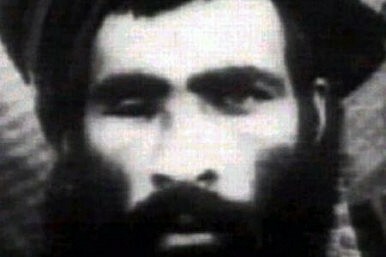 Moreover, the U.S. has not been particularly aggressive at trying to eliminate Mullah Omar and his closest aides in the years since. In fact, for all the U.S. drone strikes in Pakistan, Washington has generally steered clear of targeting Quetta, where Mullah Omar and the senior Taliban leadership are universally believed to be “hiding” out. This underscores the fact that the Afghan War was always about eliminating al-Qaeda’s leadership and preventing the transnational terrorist group from ever again using the country as a safe haven from which to mount terrorist attacks on the U.S. and its allies. A diplomatic channel with the Taliban allows the U.S. the opportunity to achieve that objective regardless of the outcome of the Afghan civil war. Should the Taliban make gains in Afghanistan after NATO leaves, Washington will almost certainly use the channel to communicate to the Taliban that it will not actively oppose its return to power so long as the Taliban denies al-Qaeda and other transnational terrorist groups a safe haven. This is an example of what President Obama meant when he discussed trying to hit singles and doubles rather than swinging for the fences. The U.S. may be appalled by the Taliban’s medieval governance, but it’s willing to acquiesce to it as long as the group doesn’t provide al-Qaeda leaders a home in Afghanistan. There are plenty of reasons to seriously examine Russia’s role in Afghanistan, but what do many analysts miss?